Nothing feels more like summer than the twinkle of sparklers, the boom of fireworks and the smell of barbeque in the backyard. But with all the sights and smells of summertime come a few precautions to take before letting children run free when the weather warms up. 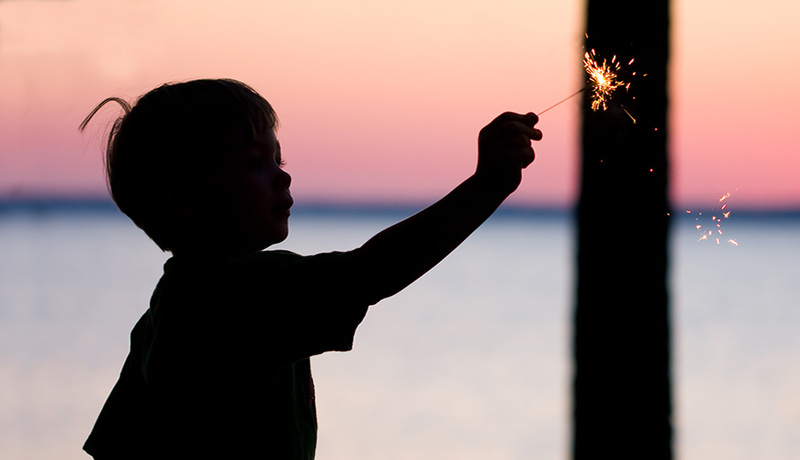 According to the experts in the Burn Center at St. Christopher’s Hospital for Children, more than 75 percent of the injuries they see kids sustain from summer sparklers and fireworks occur on their hands, eyes and face. And about 50 percent of those injuries are related to burns. As the only dedicated pediatric burn facility in the area, St. Christopher’s Burn Center wants to remind you of the importance of fireworks safety. Before you light up this year, the team at St. Christopher’s, the United States Consumer Product Safety Commission and the National Council on Fireworks Safety have a few tips for keeping you and your children safe while celebrating. First, make sure fireworks are legal in your area before buying or setting them off (in Pennsylvania you’ll need a permit to buy or light fireworks). Keep a bucket of water or a garden hose handy in case of a fire, especially on a hot day. After the fireworks are finished burning, use your bucket to douse fireworks with water to make sure the flames are completely out. Never place any part of your body directly over a firework when you’re lighting it. Make sure to back up a safe distance after the flame is lit and never point a sparkler at another person. Only light one firework at a time. Leave the multiple fireworks for shows you can see for free, like the one at the Art Museum. Never relight a firework or sparkler after it’s burned down– douse the flame to make sure it’s out, and then reach for a new one. Do not allow children to play with or light fireworks or sparklers. Most importantly, if you decide to make fireworks part of your summer festivities, make sure adults are focused and paying mindful attention to the activity at hand. In the case of an emergency, St. Christopher’s Emergency Care Center is there for you and your family. For more health and safety tips to keep your summer celebrations injury-free, visit St. Christopher’s Hospital for Children click here.